I was on the road coming back to PA from a visit to Underwriters Laboratories (UL) in Chicago with our electrical consultant at the wheel, and I thought that maybe you would be interested in one of the deeper innovative sides of YesterTec. I am really not aware of any other cabinet company that gets involved with creating safety features that are certified by Underwriter’s Laboratories. Our involvement started back in 1995 when we decided to conceal ‘hot’ appliances inside our Kitchen Workstation Furniture (KWF) so that the individual pieces would really look like furniture when the appliances were not being used. So we developed specially designed cabinetry with electrical cutoff controls and switches and other stuff to make it work. The UL certification is required so that local electrical inspectors anywhere in the US or Canada are satisfied that our unique products are safe to use. In 1996, UL engineers visited our testing facility to witness the first electrical tests that would ultimately lead to the certifications. 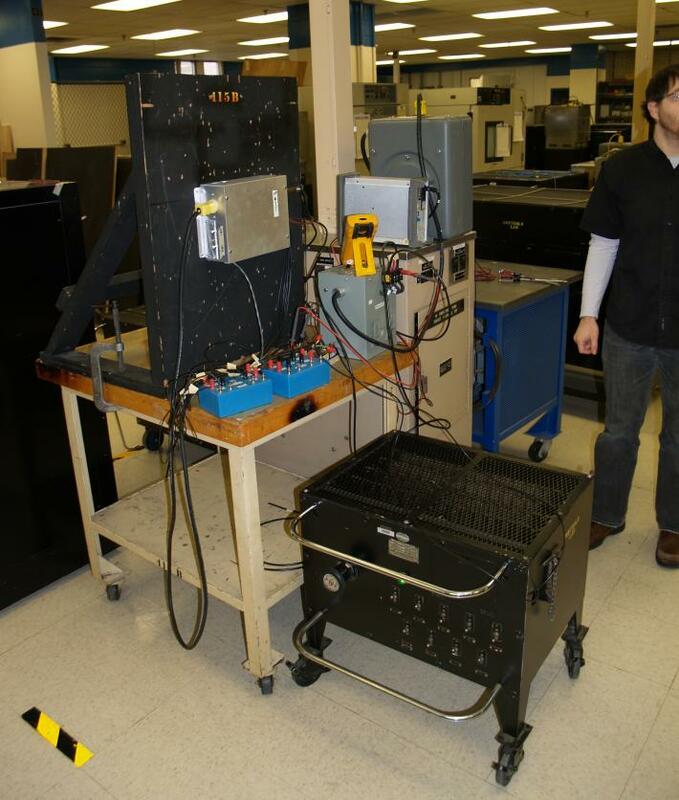 Our prototype pieces of furniture were hooked up to heat sensing thermocouples that were monitored by a computer to record the results as they were tortured by extended heat testing. Then, the controls and switches were sent into the testing labs in Chicago where they endured hours and hours of heat and endurance testing. In the end, we received the coveted UL Listings, and then we patented the technologies that had been developed. As a side note, I never would have proceeded with the KWF line had we not received the UL endorsement, because I felt that strongly about the advantages of concealing the appliances. Many cabinet companies could already hide special refrigerators and dishwashers, so hiding the hot ones would be a refreshing new design tool for the design industry to have. 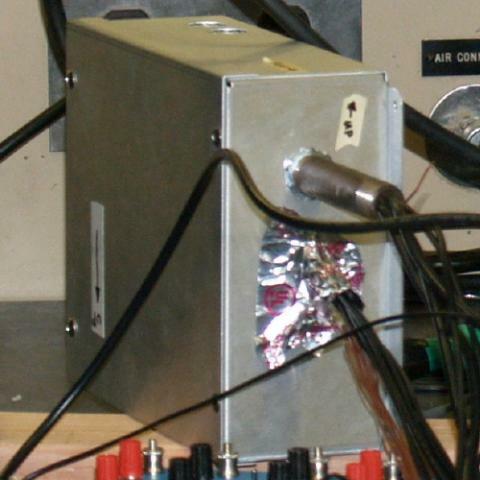 In 2007, it became apparent that our controls (shown above during a test, the controls are like big junction boxes where the appliance’s power wire and the power wire from the house and the cabinet door switches meet) would need to be redesigned because some of the parts had been discontinued, thus hard to get and ultimately expensive to procure. So we started to redesign the controls to bring them into the world of printed circuit boards (PCB) which would eliminate the unobtainable parts and the hand wiring, ultimately producing more sustainable and less costly products. I’m still not sure why, but the UL process took entirely too long, but we finally got to the final test stages so we packed up the truck and made the whirlwind trip to Chicago. Twice! 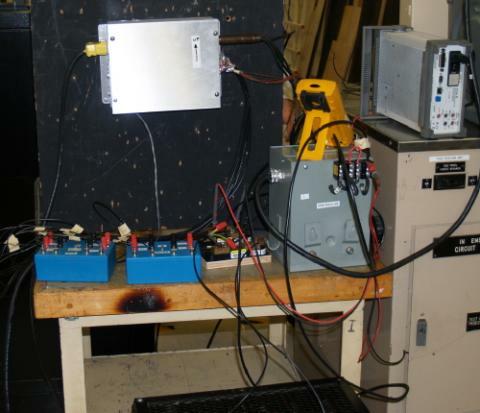 Once in 2009 to get our Unit Kitchen and Microwave Controls tested and again in 2013 to get our more complex Oven and Cook Top Controls tested. 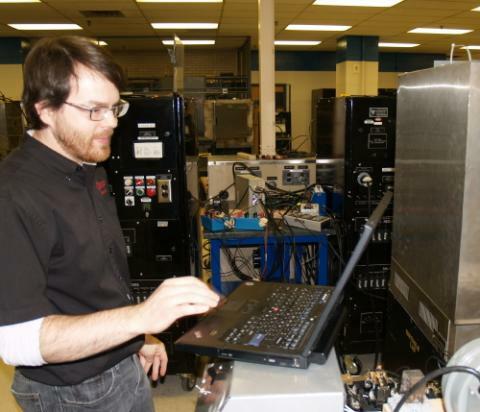 The photos show views of the UL controls testing laboratory (John, a UL technician is shown below). I won’t try to explain anything about these tests, except to say that the testing thresholds (temperature and endurance requirements that our controls need to meet) are way beyond what the normal use of ovens and cooktops entails. But our controls passed with flying colors! When we were finished, a director gave us a tour of some of the other labs, and let me tell you, there is some very cool stuff coming to marketplace (assuming they all pass the tests). Innovation in America is still thriving! There is a price for all this safety certification. Recently, I came up with the sobering fact that for every piece of furniture that we have sold that hides the hot appliances, we have spent an average of over $1500.00 for UL and Patent approvals, file maintenance fees, consultant fees and manufacturing. This doesn’t even include the cost of inventory, manufacturing the wood parts and counter tops or any of my own time involved! Of course, we only charge a few hundred dollars per piece for the safety technology. But my plan has always been that someday the unique ability to conceal appliances would catch on in a much bigger way and we would begin to recover more of these costs. But holy smoke! So our 13 hour road trip each way produced the results we desired and cleared the way for us to continue to bring our customers unique products that no other company on earth can create. So don’t believe that innovation in the cabinet industry is dead. It is as alive as our imaginations and a lot of money allows it to be! Now it is up to you to see how you can use this technology to make your life just a bit better!